Get it as a Set! We have bundled the 24 in. 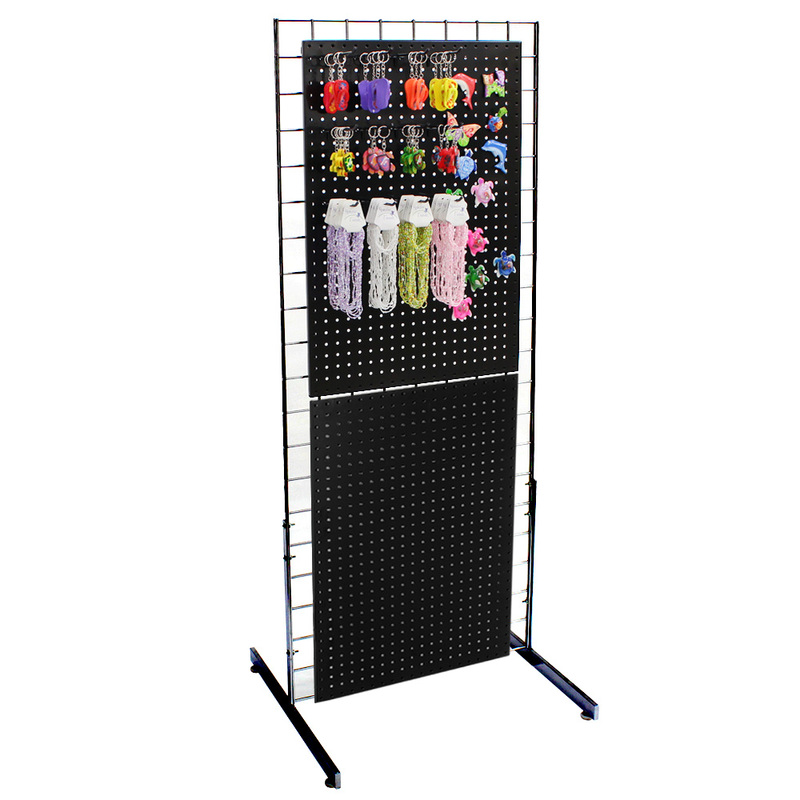 x 72 in grid panel with legs and 2 metal pegboard displays to bring you the complete set. 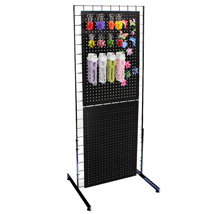 This free standing unit gives you the option to display magnets and more. Hang a few baskets for impulse items and then peg hooks and it is ready for any store. Display comes in black. For many more products, we encourage you to take a moment to view our entire selection of Impulse Displays at Specialty Store Services now.